SPI series | KANTO KONGOKI INDUSTRIAL CO.,LTD. This spiral mixer was developed through technical collaboration with one of the best European mixer makers, while responding to all requests from customers regarding mixing amounts. 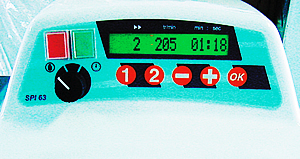 The spiral action enables mixing of European bread such as French and German bread. Various lineups from a 50L type for a shop to a large factory type are available. 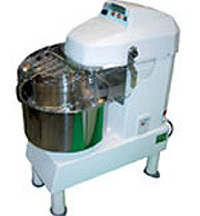 Various models of Kanto spiral mixers enable differential dough making, while offering from a shop type to a high-volume production type. This compact model employs automatic switch control fromlow to high speed by digital timer, which improves usability. 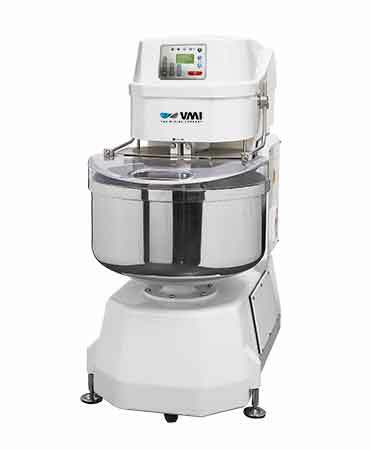 Low and high speed inverter controls enable free settingfrom 100 rpm～220rpm and various dough mixing. mixing process at a glance. These standard type spiral mixers are simply designed andhighly durable. A highly durable head fixed model presupposes factory useand handles from bread to Chinese buns. 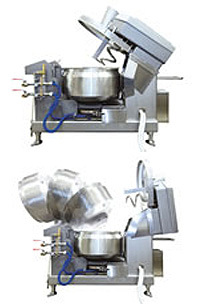 These bowl removable spiral mixers enable efficient mixing by using several bowls. Various spiral systems enable better mixing process in a factory. 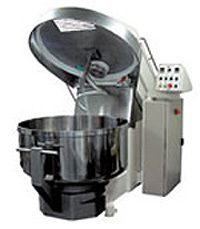 Removable mixer bowl and automatic head elevation are of standard for efficient mixing. These large models presuppose large factory use. Tipping system equipped spiral mixers are compactlydesigned with a lifter. Various spiral systems enable a bettermixing process in a factory. 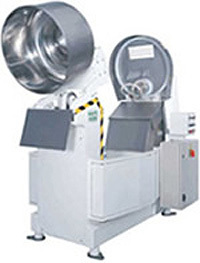 Large model equipped with bowl lifter and tipping systemenables feeding directly to the dough box of horizontalmixer, which produces high quality mixing without majorfacility replacement. These spiral mixers come with cooled jacket bowls. Liquid circulation such as glycol water suppresses thedough temperature rise. Bowl tipping system enables easy emptying of the bowl.